Was the centre’s directive that security cover be withdrawn for many leaders and separatists of the state part of the BJP’s move to whip up fear and influence polls beyond the Valley? Ahead of the crucial Lok Sabha polls, the government seems determined to whip up security fears about Jammu and Kashmir beginning with threats to abolish Article 35-A and Article 370 of the Indian Constitution, arrests of political activists, institution of cases by the National Investigation Agency and the ban on the Jamaat-e-Islami (J&K) and the Jammu-Kashmir Liberation Front (JKLF). It is hard to avoid the conclusion that its aim is to influence elections beyond the Valley. In fact, on March 10, Chief Election Commissioner Sunil Arora, while announcing the election schedule in Delhi, pointed to the security constraints in simultaneously holding the already delayed assembly elections in J&K. He said there could be “at least” eight candidates in each assembly segment and each of them would require an adequate number of security personnel. To substantiate his argument, he recalled panchayat and urban bodies’ elections held “long ago” and said that many contestants were still staying in government guest houses “at government’s expense”. In contrast, the central government in an official release on March 22 claimed credit for having “revitalised grassroots democracy in J&K by conducting elections peacefully for the first time in 2018 for urban local bodies after 2005 and for panchayats after 2011”. It referred to the high polling percentage without going into details. The polling was indeed impressive in Jammu and Ladakh regions compared to the turbulent Valley where it was seriously affected by the non-participation of two main regional parties—the National Conference (NC) and the People’s Democratic Party (PDP)—apart from the usual election boycott call given by secessionist organisations. Urban bodies’ elections were held in October 2018 and panchayat polls in December. The Union government’s recollection of them months later could not be easily explained, that too in a release announcing the imposition of a ban on the separatist JKLF under the Unlawful Activities (Prevention) Act. Who is right? The CEC who ironically gets its feedback on security matters mostly from official agencies apart from making an on-the-spot assessment, or the government which ought to know the actual position? The government had gone on to withdraw the security cover of many mainstream political workers and leaders along with that of separatists. 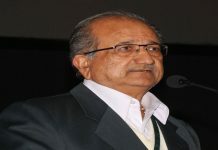 Faced with vociferous protests by main Opposition parties, the governor, Satya Pal Malik, sought to mollify them two days before polling in the first phase of parliamentary elections on April 11 by restoring the security cover of about 400 political workers and activists. Malik has passed the buck for the earlier action to the bureaucracy. This is ironic considering the Union government’s assertion that the entire exercise had begun at its behest from the day the governor’s adm­inistration took over on June 20, 2018. Has he bitten off more than he could chew by trying to scuttle a central initiative? Seeking the EC’s “immediate intervention”, PDP President and former Chief Minister Mehbooba Mufti has called the move “a kind of pre-poll rigging”. The Congress too is seething as it has to bear the brunt of this move along with the NC and the PDP, especially in the Valley where the BJP banks on the votes of migrants living outside. 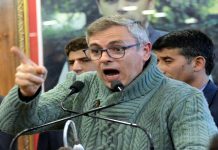 The Congress had salt added to its wound when the official accommodation of its state president, GA Mir, was withdrawn just before he filed his nomination for the highly-sensitive Anantnag parliamentary constituency on April 3. Following complaints by political parties, J&K’s Chief Electoral Officer, Shailendra Kumar, is reported to have apprised the EC about the developments and sought views from the government. According to a much-publicised home ministry version on April 5, the J&K governor’s administration has, since its takeover last year, withdrawn security cover for “919 undeserving persons thereby freeing 2,768 police personnel and 389 vehicles”. The action was taken because “it was observed by the centre that many undeserving persons managed to get security cover resulting in lack of state police resources for the public at large. Accordingly, the Union home ministry directed the state govt that a case by case in-depth review may be taken on merits”. The J&K State Security Review Coordination Committee has held regular meetings to examine all the cases to ensure “strict compliance as per norms” and will continue the exercise. The list includes 22 “separatist leaders, giving a clear message to those who are involved in anti-national activities”. The first major announcement about security withdrawal was made three days after the Pulwama killings of 45 CRPF personnel in a Jaish-e-Mohammad suicide bomb attack on February 15. 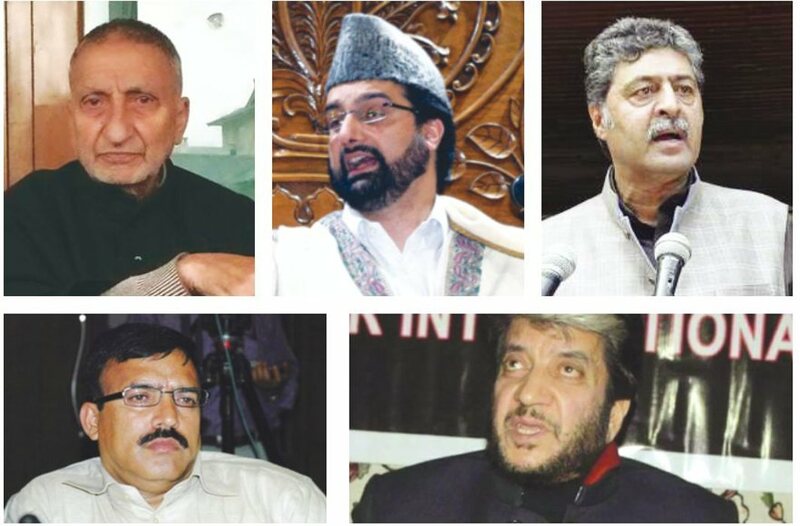 It was confined to five separatist leaders—Mirwaiz Umar Farooq, Abdul Gani Bhat, Bilal Lone, Hashim Qureshi, hijacker-turned-politician, and Shabir Shah who has been in jail since 2017 and has never been averse to talking to anyone—a stand that invited his suspension from the united Hurriyat Conference in 1996 when he violated its decision and met then US ambassador in India Frank Wisner. Incidentally, the first three were members of the Mirwaiz-led Hurriyat Conference and have figured in talks with previous central governments, including the Vajpayee one. The next order on February 20 covered another 18 separatist leaders, inc­luding Tehreek-e-Hurriyat founder Syed Ali Shah Geelani, mostly under house arrest, and JKLF chief Yasin Malik, who is at present in jail but lives in crowded Maisuma bazaar in Srinagar, and more than 150 mainstream politicians—Shah Faesal, Wahid Para and Engineer Rashid among them. From a distance, it appears unusual that separatist leaders ought to have been given official security. How they are treated depends upon the government’s perception and their mutual relations. The elected state governments led by the PDP and the NC in particular have valiantly tried to engage them in a battle of wits, fighting for the same turf. Most of the central governments have encouraged them to hold dialogue, mindful that their positive response would expose their lives to danger at the hands of Pakistan and terrorist outfits which want to wrest the Valley by hook or by crook. The present central government has not been able to establish any rapport with the separatists despite the appointment of an interlocutor. Some of the actions and utterances of BJP leaders in the rest of the country have widened the chasm between them, as well as between the government and the Muslim-majority population. Separatist leaders have never bothered about the official security which they call “a non-issue” as “they never asked for it and wherever it was given, the government had gone by its own threat perception”. It is all the more amazing that separatist and mainstream leaders were clubbed together in the publicity offensive surrounding the security withdrawal. The NC has time and again been called upon to make supreme sacrifices for standing by the Accession and the Indian Union. The PDP too, in its short existence, has suffered loss of leaders. In yet another move, the government has from April 7 shut the 296-km-long national highway between Jammu and Srinagar for civilian traffic two days a week (Wednesdays and Saturdays) to facilitate an exclusive run for convoys of security personnel. The highway is the virtual lifeline of J&K and the only important road link between the Valley and the rest of the country. Lakhs of commuters, including those staying on either side of the road, have been put to tremendous inconvenience as a result, notwithstanding the government’s claim of having made provisions to take care of emergencies. It has also turned out to be a bad advertisement for foreign tourists in the Valley. This is an anti-climax as the civilian traffic has been normal for at least two decades after serious disruptions at the peak of militancy in the 1990s and its aftermath. With the arrival of the elections, J&K seems to be the crucible for the ruling BJP’s experimentation. This could have dangerous consequences. Previous storyA Police State in Forests?